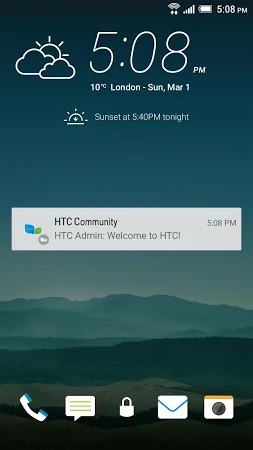 The HTC Push Client service supports notifications for HTC apps and services. HTC, the HTC logo and other HTC product and service names referenced in the Application are the trademarks or registered trademarks of HTC Corporation in the United States and other countries. The download of this application is safe and secure. HTC Corporation developed the app that falls into the Tools category. Over 10M users downloaded and installed HTC Service and the most recent release was on Jul 7, 2016. Google Play shows that this application is rated 3.8 by its users. Get the latest installer of HTC Service 1.40.777131 for free and read users' reviews on Droid Informer. The app is designed for Android 5.0 and higher. In users’ view, the app possesses the following benefits: a good design and constant updates. Users leave reviews saying that you can find such drawbacks of this application as camera issues and lags and freezes. How to check internet balance on your mobile network? Share your GPS location over Bluetooth to nearly any device or software. If you are a gamer and like to watch live streams, this application is for you. Monitor and manage your NETGEAR ReadyNAS and ReadyDATA devices. This Android app was specifically designed to SIM unlock any HTC handset.